How Can I Hide the Drift Icon When I am Offline? We know you can't be available to chat every hour of every day, which is why we have online and offline messages you can set up. But if you want to go one step further to physically hide the chat icon when you're offline, you can do that with our Display When targeting! Note: display targeting is only available on our paid plans. 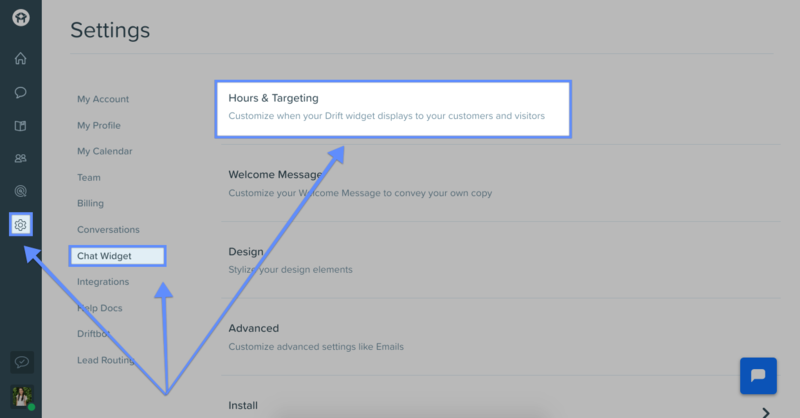 And going to "Hours and Targeting"
In your Hours and Targeting Settings, you can add a "Display Condition" to your Drift widget! 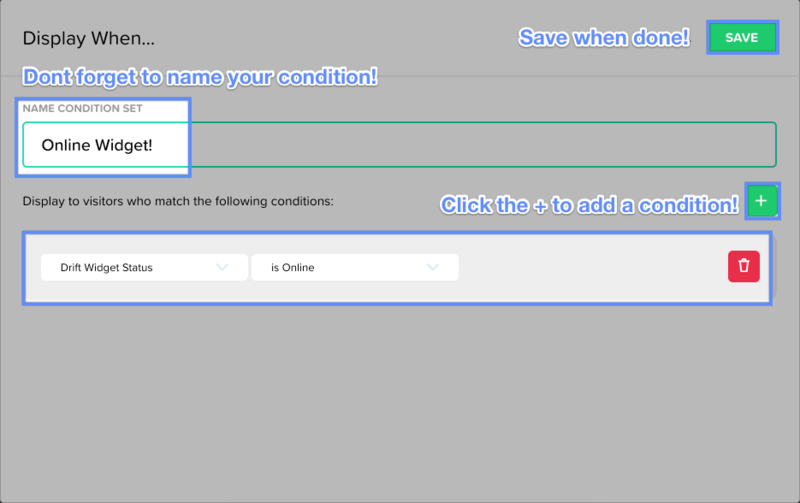 Once you create a new Display When condition, you can choose "Drift Widget Status" "is Online". This will ensure that your Drift icon will only display when you're online.